Happiness is VERY important in City Island 4. 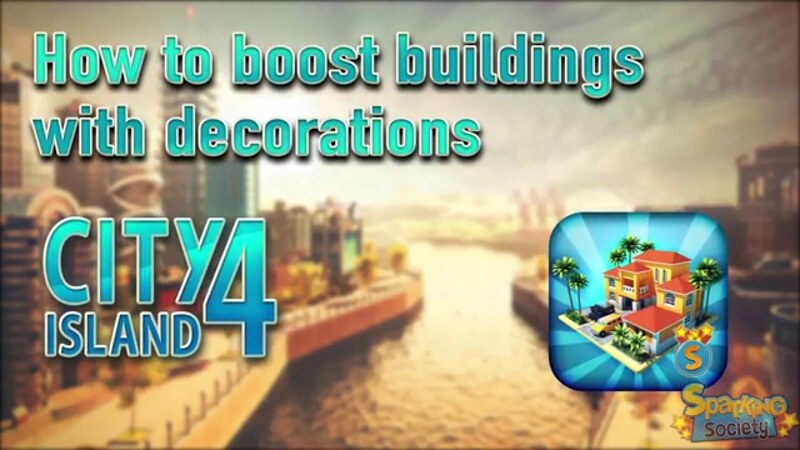 Decorations now provide a boost to the surrounding buildings! This is a very fun strategic and mindbreaking feature, as from now on it matters how you 'decorate' your city and how you 'arrange your buildings throughout your city' to profit from these boost optimally. My buildings have a sign with exclamation mark and says it I need to build a road, but I already build one? Buildings need to be placed next to a specific type of road. In City Island 3 you could choose which type of road you prefer, but in City Island 4 it is fixed per building which type of road is needed (road, walkway, canal). How many times can the construction company be upgraded? Any limit? Last edited by sparksoc; 19th January 2016, 10:08. Terry, you are not the only one. I am building my &quot;a..&quot; of and my smiley is still crying at 42%. I blame it on the 1st version of iOS. However, updates are in the pipeline. Let's see what happens after that. Last edited by demig; 17th January 2016, 21:12.